By Sherman AlexieI learned to read with a Superman comic book. Simple enough, I suppose. 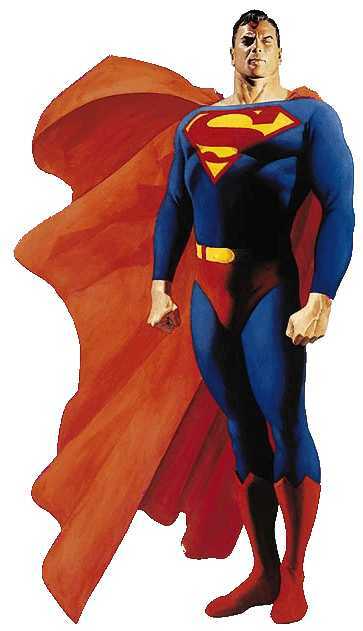 I cannot recall which particular Superman comic book I read, nor can I remember which villain he fought in that issue. I cannot remember the plot, nor the means by which I obtained the comic book. What I can remember is this: I was 3 years old, a Spokane Indian boy living with his family on the Spokane Indian Reservation in eastern Washington state. We were poor by most standards, but one of my parents usually managed to find some minimum-wage job or another, which made us middle-class by reservation standards. I had a brother and three sisters. We lived on a combination of irregular paychecks, hope, fear and government surplus food.And:At the same time I was seeing the world in paragraphs, I also picked up that Superman comic book. Each panel, complete with picture, dialogue and narrative was a three-dimensional paragraph. In one panel, Superman breaks through a door. His suit is red, blue and yellow. The brown door shatters into many pieces. I look at the narrative above the picture. I cannot read the words, but I assume it tells me that "Superman is breaking down the door." Aloud, I pretend to read the words and say, "Superman is breaking down the door." Words, dialogue, also float out of Superman's mouth. Because he is breaking down the door, I assume he says, "I am breaking down the door." Once again, I pretend to read the words and say aloud, "I am breaking down the door" In this way, I learned to read.